Maybe it is time to drop the idea that education for all is one of the things that has made this country successful. Maybe we should hop on the school choice bandwagon and simply state “You choose – fairy tails or reality.” Conservative evangelicals can have their young earth creation curriculum, climate change denial, and the whole nine yards while rational folks can pursue facts, observation, theories, history and the truth in all areas of study, wherever that pursuit may lead. Amen!! It should never have been the government’s job to educate the citizenry. Provide for education, sure, but not to educate directly. After all the government is supposed to follow the lead of the people, not vice versa. The government doesn’t educate directly. The government does and can only follow the lead of the people. The problem is the people are divided between fundamentalist protestants and everyone else. Other religious fundamentalists and anti-government, anti-tax interests encourage this division, but I very much doubt it will go well for them or anyone if education is completely privatized. In the scenario Douglas describes, the country would divide into modernity embracing urban and coastal wealth versus rural flyover anti-modernity and poverty. As minorities in the latter areas, Jewish, Muslim and Catholic groups as well as libertarian atheists would probably find themselves subjected to the same violence and disenfranchisement they did for most of American history and increasingly face in these regions now. Regarding the content of Adam’s original post, maybe he was just being brief or facetious, but he totally misconstrues the perspectives of the people he mentions. If “creationists” means most young earth fake science believers or all who reject evolutionary theory (as opposed to “theistic evolution”) those people have been doing the BenOp for decades, and they’re not really in Dreher’s audience. Nor is Dreher focused on a separatistic educational program. I’ve never seen him comment on science or evolution; I would assume his path from mainline protestant to eastern orthodoxy through catholicism means he has a no-conflict theism+science type of perspective. DeVos too is misrepresented as trying to force the public schools to accept creationism or religious content; in the view of the tradition she is coming from, state (public) schools are primarily defined by public funding, and their secularity can or ought to be more of a european variety where religious content and symbolism that’s part of the dominant culture isn’t eliminated to create “neutrality.” I don’t think they’re terribly interested in getting an alternative creation science taught, just some representation of theistic positions as valid possibilities. What DeVos represents as a threat to the status quo is her interest in public funding for private, religious schools. 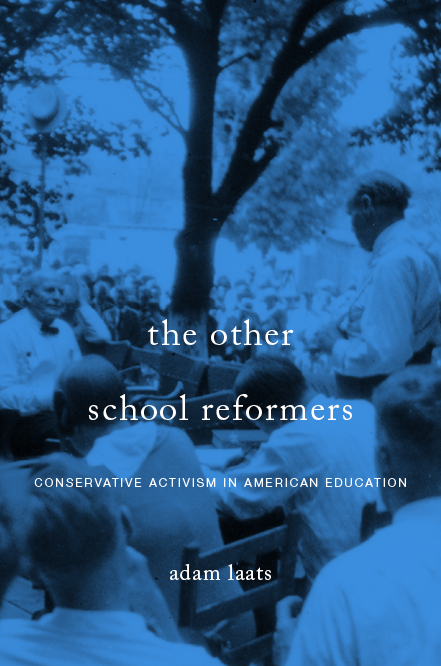 Bringing a wide variety of ideologically distinct, religious and non-religious schools into the public system might seem like a good way to hold together a pluralistic system with substantial autonomy for each school or sub-system, but there are some big problems with it. Some unifying standards would be required. There would be a big fight over whether some schools can operate according to totally different civil rights and labor rights. The radical separatists and independents will never accept any kind of state school system but may appreciate further development of ways for them to use state school resources and funding. Sorry for the lack of clarity (and typos) — this was in response to today’s post with the roundup of readings.